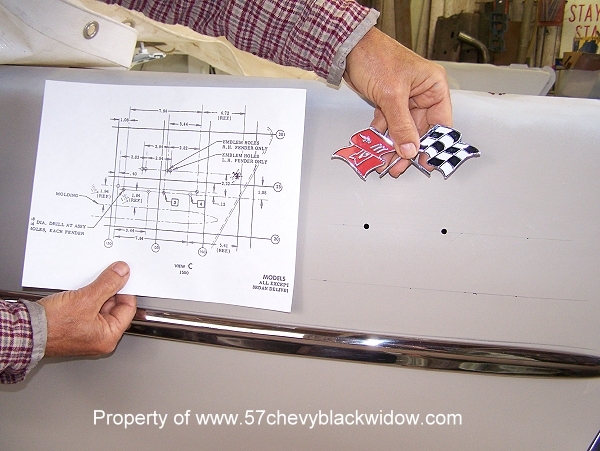 "Old Guy Scott" fits all emblems and moldings before painting, then removes them for final paint work, after the car is painted adjustments would be very difficult. 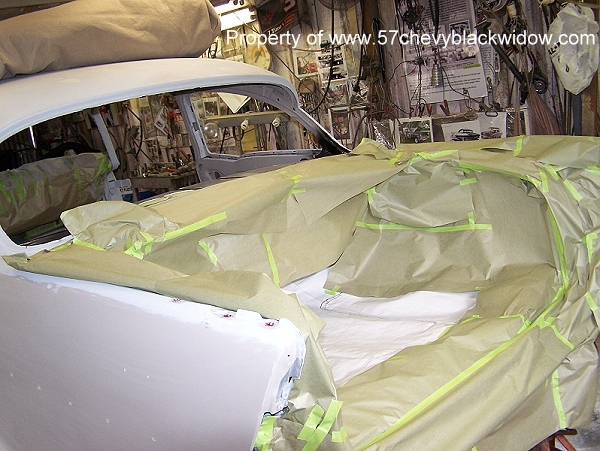 Photo #344 shows a final blocking of the polyester primer. 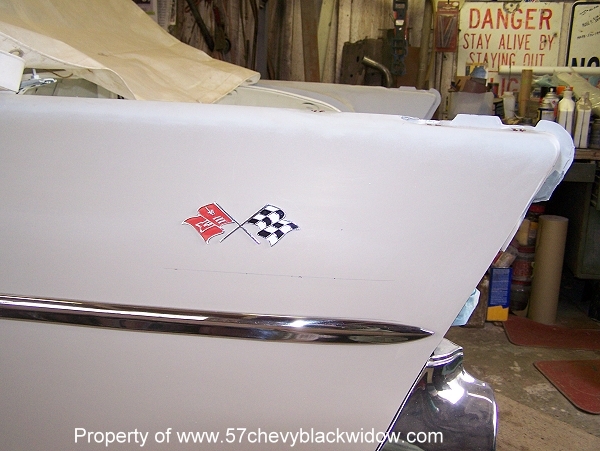 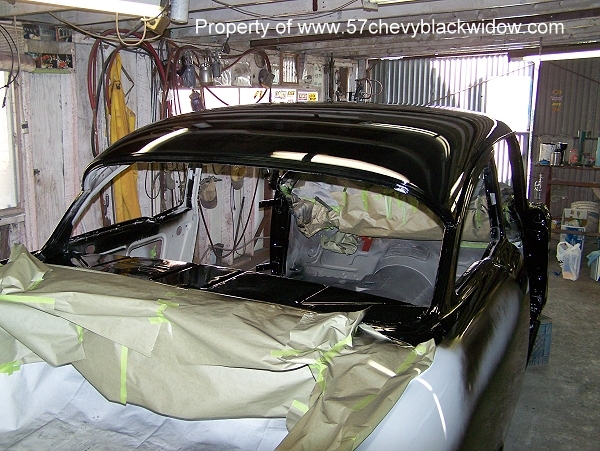 Clear coats and urethanes were not used fifty plus years ago, "Old Guy Scott" is going to micro-sand and polish the whole car when the painting is completed. 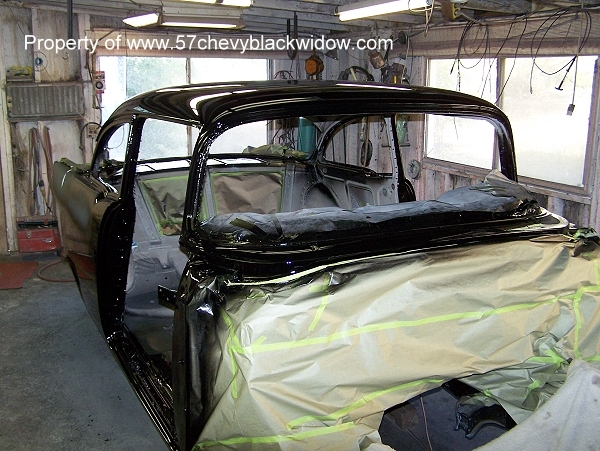 In photo #351 you see the black completed, he will then wet sand with 400 grit paper and paint black a second time. 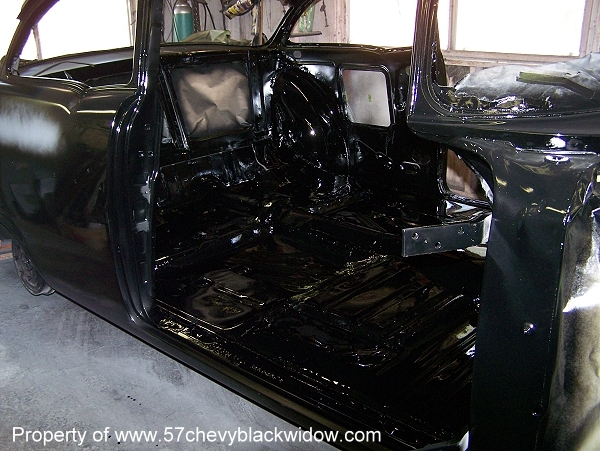 This way there will be enough paint to micro-sand and polish. 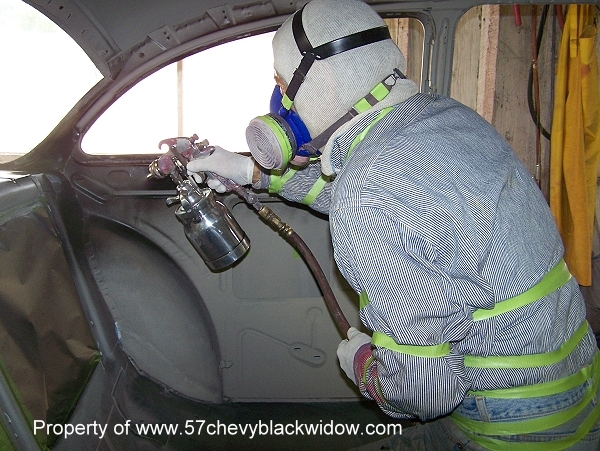 When clear coating, this extra step may not be necessary. 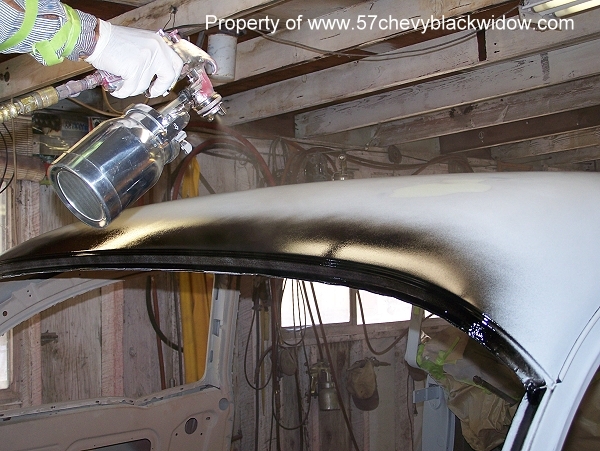 Black is a very soft sanding color and this extra step will make sure you don't go through the paint when you sand and polish.